Are you looking for a part or full time summer position? Do you enjoy talking to and helping people? Would you like to work in a job where you are surrounded by beautiful artwork, unique crafts, fascinating books and wonderful music? Would you enjoy working in an easy going environment with a group of fun-loving co-workers? Would you enjoy working in the beautiful surroundings of Apgar Village at the foot of Lake McDonald, just inside Glacier National Park, one of the “last best places” on the planet? Would you enjoy being close to numerous opportunities for enjoying the great outdoors, such as hiking, rafting, camping, biking, fishing, swimming, sightseeing and much more? 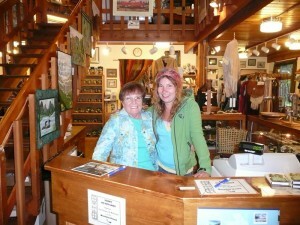 Montana House hires 2 – 4 sales clerk positions for the summer season.